Cavemen and Cavegirls have strong showing at the District 3-6A Individual Tennis Tournament. 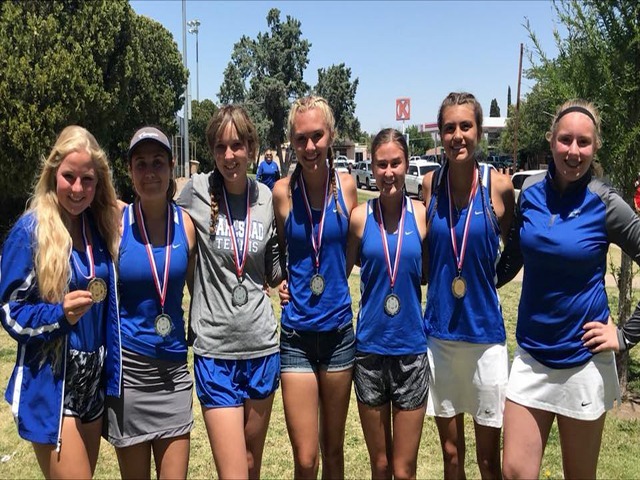 5 Cavegirls out of 11 spots and 5 Cavemen out of 11 spots qualified for the individual state tournament to be held Wednesday and Thursday in Albuquerque. The Cavemen qualified as a team by winning the district team championship and are the #2 seed at the state tournament. The Cavegirls qualified for state by finishing 2nd in district and are the #6 seed.